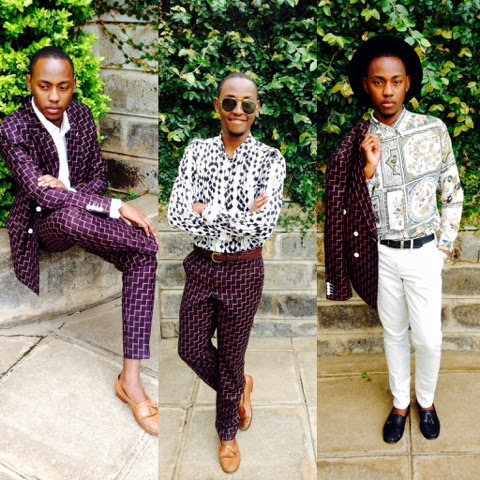 OUTFITS: 1 SUIT 3 WAYS OF WEARING IT. Happy November everybody. The holiday season is just around the corner and I cant believe how the year has flown by so fast, its crazy. 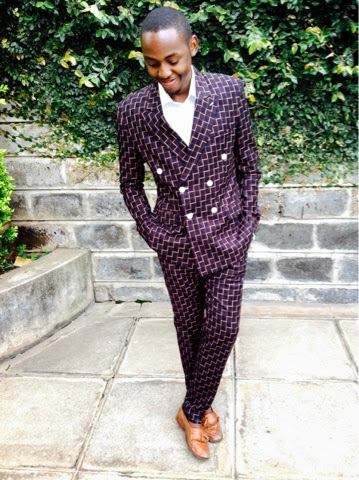 You have probably seen me in this suit during my graduation post, if not you can check the post here . 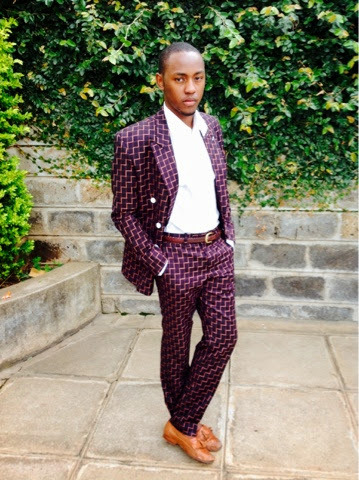 I still wanted to show you guyz how you can break your suit and still have that stylish look that you want as a gentleman. 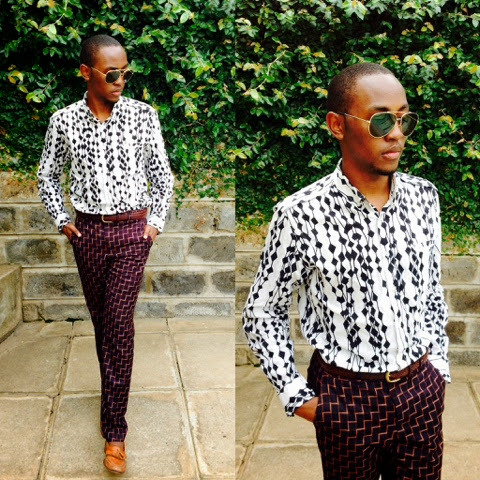 1: Printed shirt with the suit trouser. 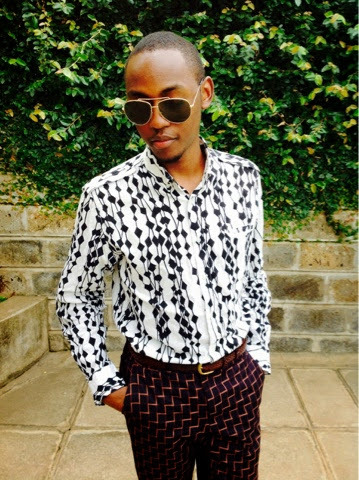 Since my suit is made out of checked prints I decided to pick a white printed shirt to wear it with the checked trouser. 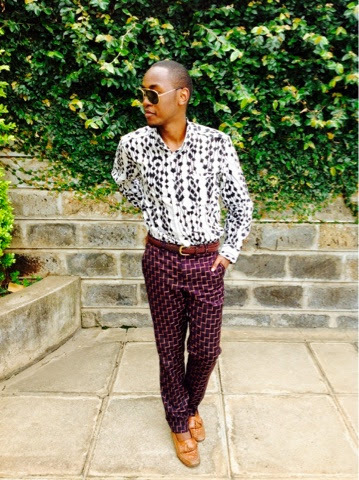 I know some of you will say mixing prints with prints is a fashion faux, but I want to say to you that you have to be very good at mixing prints with prints in order to pull it out. 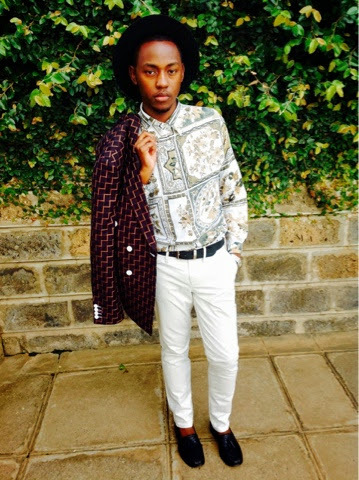 If you have a plain or neutral colour suit then mixing in printed shirts will be very easy and it would look really good. 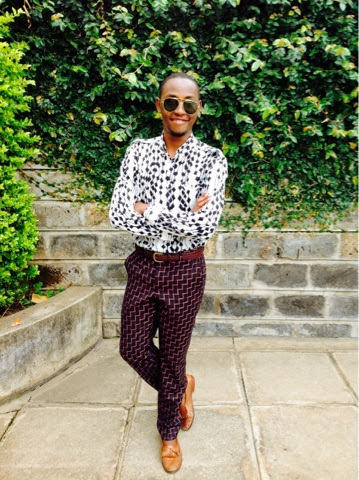 I wore brown moccasin shoe, RayBan wayfarers and a woven leather belt to complement the whole look. You can wear your suit fully if you see need to. 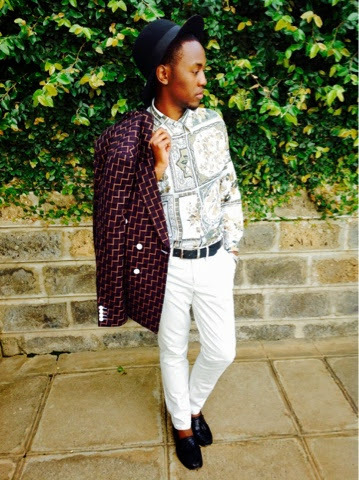 In my case I wore the full suit but put on a white shirt since the checked prints were to strong. You can't wear a printed shirt in this case because a lot will be going on and we don't want you to be seen as if your trying too hard right. 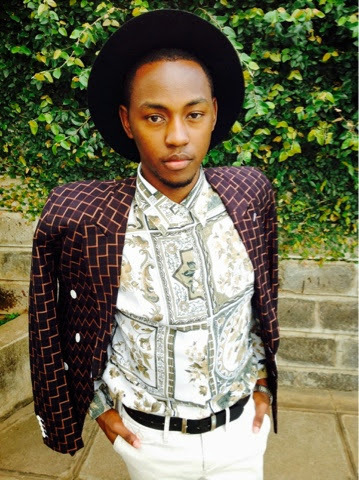 Again if your suit is of a neutral colour then you can put on a printed shirt inside. 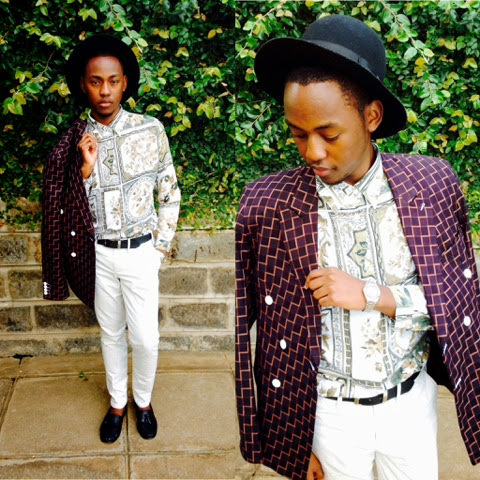 3: Printed shirt, black hat and the coat suit. Having a boring look at times isn't fun right? We need to add life onto it. At least I know I have to once in a while. 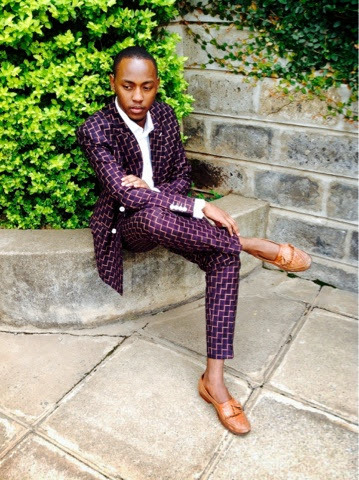 I mixed the checked coat suit with white slim pants, printed shirt, a black wide brim hat and black moccasin shoes. You can always try on the hat if you see need to but if you don't want its fine. You can loose the hat and still have a great look. Black shoes go well with this look since a lot is incorporated into my look. Try on different looks and see how they go with your style. I hope those tips and my looks will help you in breaking your suit plus getting the maximum feeling of it. Don't forget to follow me on twitter- @Lovelyhood and on instagram- http://instagram.com/olavarthurmburu . Share your thoughts on the comments below or on twitter if you wish so.